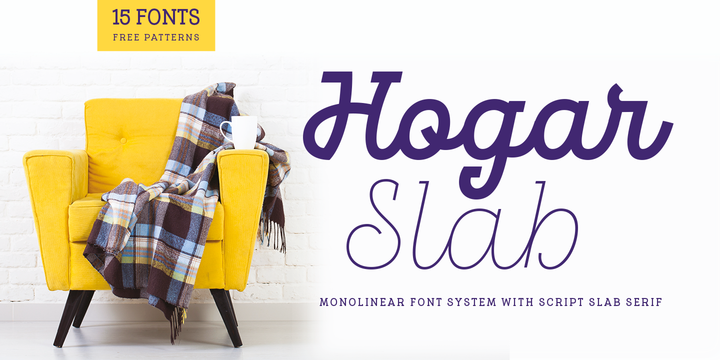 Hogar Slab is the slab version of Hogar typeface created by Sofia Mohr and published by Latinotype, which comes in 3 widths (Slab, Slab Italic, Slab Script) each with 5 weights (from XLight to Bold). It has monolinear style has the same proportion and weight interpolation & similar terminals. It is suitable for display, headline, packaging etc. Enjoy! Price: starting from $29 for one font to $199 for all 16 fonts. A font description published on Wednesday, December 7th, 2016 in Fonts, Latinotype, Sofia Mohr by Alexandra that has 1,961 views.